and governs the privacy of its users who choose to use it. stores and protects user data and information will also be detailed within this policy. are taken to protect the privacy of its users throughout their visiting experience. This website complies with UK national laws and requirements for user privacy. they save and store information about the user’s interactions and usage of the website. to block all cookies from this website and it's external serving vendors. This website uses tracking software to monitor visitors statistics to better understand how they use it. typically expire after 30 days, though some may take longer. No personal information is stored, saved or collected. until a time it is no longer required or has no use, as detailed in the Data Protection Act 1998.
users using such form to e-mail processes that they do so at their own risk. or enquired about purchasing from the company a product or service that the e-mail newsletter relates to. This is by no means an entire list of your user rights in regard to receiving e-mail marketing material. processed through prior written agreement with the user. held on you, please write to the business address at the bottom of this policy. the actual e-mail. Subscriber activity is tracked and stored in a database for future analysis and evaluation. the e-mail content, times, dates and frequency of activity [this is not a comprehensive list]. with more relevant content based around their activity. subscribers are given the opportunity to unsubscribe at any time through an automated system. is unavailable clear instructions on how to un-subscribe will by detailed instead. adopt a policy of caution before clicking any external web links mentioned throughout this website. & it's owners cannot be held liable for any damages or implications caused by visiting any external links shown. with each social media platform respectively. to share a web page respectively through your social media platform account. information while browsing or using this website, including your rights under current laws and regulations. If you do not agree to the following policy, you may wish to stop viewing / using this website. 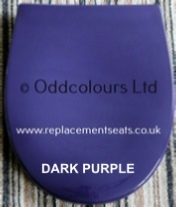  "I", "our", "us", or "we" refer to the business “Oddcolours Ltd / Replacement Seats”.  "you", "the user" refer to the person(s) using this website.  GDPR means General Data Protection Act.  PECR means Privacy & Electronic Communications Regulation.  ICO means Information Commissioner's Office.  Cookies mean small files stored on a user’s computer or device. Under the GDPR (General Data Protection Regulation), we control and / or process any personal information about you electronically using the following permissible bases. We ensure the security of any personal information we hold by using secure data storage and precise procedures in how we store, access and manage that information. Our methods meet the GDPR compliance requirement. We have provided some further explanations about user privacy and the way we use this website to help promote a transparent and honest user privacy explanation. Under the GDPR, we use the legal consent basis for anyone subscribing to our newsletter or marketing mailing list. We only collect certain data about you, as detailed in the "Processing of your personal date" above. Any e-mail marketing messages we send are done so by ourselves. Any e-mail marketing messages we send are persuant with the GDPR and PECR. We provide you with an easy method to withdraw your consent (unsubscribe) or manage your preferences or the information we hold about you at any time. We do not consent to any third-party marketing or passing on of any of our information. GDOR Privacy Notice Policy Base: v.4.0 May 2018 - Made available without liability by Jamie King, Website management services.